The Civilian Oversight Commission (COC) is soliciting feedback from the public regarding potential policies relating to the implementation of Body Worn Cameras (BWC). The COC Ad Hoc Committee regarding Use of Force by Patrol Deputies is looking into whether BWCs are effective and, if so, the best policies for the BWCs. The COC hopes to provide advice and recommendations to the Sheriff on these issues. 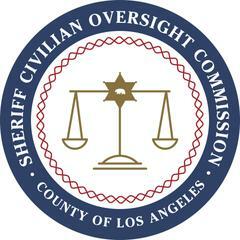 This request is for the COC Use of Force ad hoc committee and is associated with Sheriff Jim McDonnell’s September 6, 2017 request that the COC assist LASD in facilitating public meetings to solicit feedback from the public related to a Body Worn Camera Program. Please complete this survey by Thursday, May 17, 2018, to share your opinions. Your responses will be anonymous and confidential and will be aggregated to provide an overall understanding of the communities’ input.